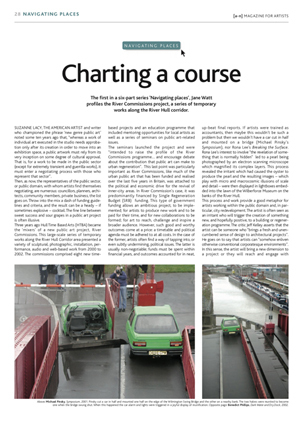 ‘Charting a Course’ (July 2003) looks at issues surrounding temporary public projects using the River Commissions project on the River Hull corridor as a case study. 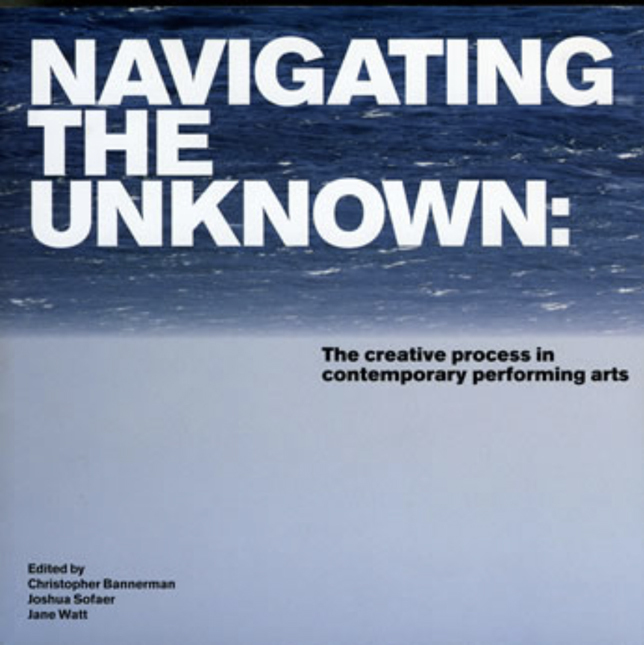 ‘Private Musings: public projections’ (September 2003) examines the use of artist-in-residence programmes in public realm projects including work at Grizedale, Art and Architecture at Kielder and Further Up in the Air, Liverpool. 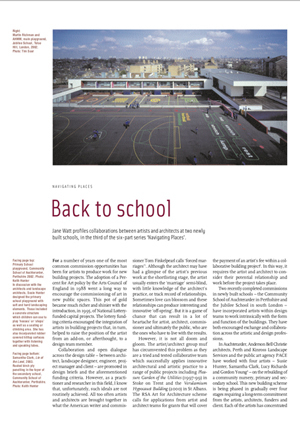 ‘Back to School’ (November 2003) presents two case studies of public art projects in schools in London and Auchterarder. The article highlights issues of artists working and collaborating with architects on permanent projects. 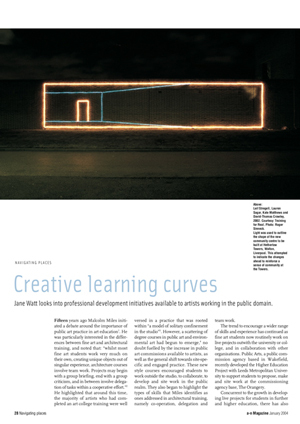 ‘Creative Learning Curves’ (January 2004) examines the professional development initiatives and support that are available to artists working in the public realm. 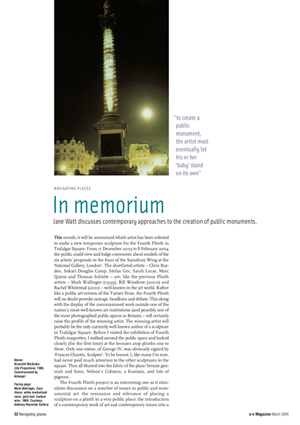 ‘In Memorium’ (March 2004) looks at contemporary monuments in the UK and some of the sensitive issues that they raise for both the artist and the public. 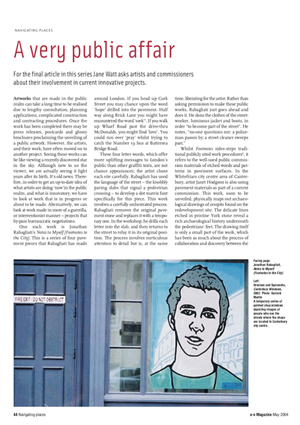 ‘A Very Public Affair’ (May 2004) looks at the transient nature of public art projects and the impact that they can have on an environment and audience through works by Jonathan Rabagliati, Janet Hodgson and Roxane Permar.